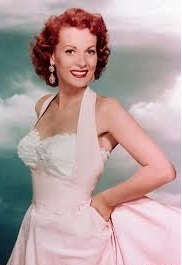 Hollywood Actress Maureen O’Hara who died on Saturday was a regular visitor to the town when she was growing up and even when she was becoming well known. A close relation of Bridget Ryan, Newtown, herself and her mother would visit regularly and spend time in the town calling to all her extended family. Bridget Ryan who died in 1948 was the second female councillor elected to Castlebar UDC in 1920 (Anna Marie Carney, Castle Street in the same election was the 1st) for Sinn Fein. Her husband Charles Ryan (better known as C.W.) was the last ‘Master of the Workhouse’ until the office was abolished and the County Home was built. Bridget was also sister-in-law to Andrew Ryan, who was Court Clerk for a long number of years and Freddie who was the former Town Clerk at one stage. The two stone lions outside the Garda Station are named ‘Freddie and Andy’ in their honour. During the making of the ‘Quiet Man’, C.W. and his daughter Eileen (died 1993) were guests of Maureen O’Hara in Ashford Castle. My sympathy to family members still living locally such as Nuala Armstrong, Newtown and members of the Ryan and O’Dwyer families.